Watch out for this sort of message. 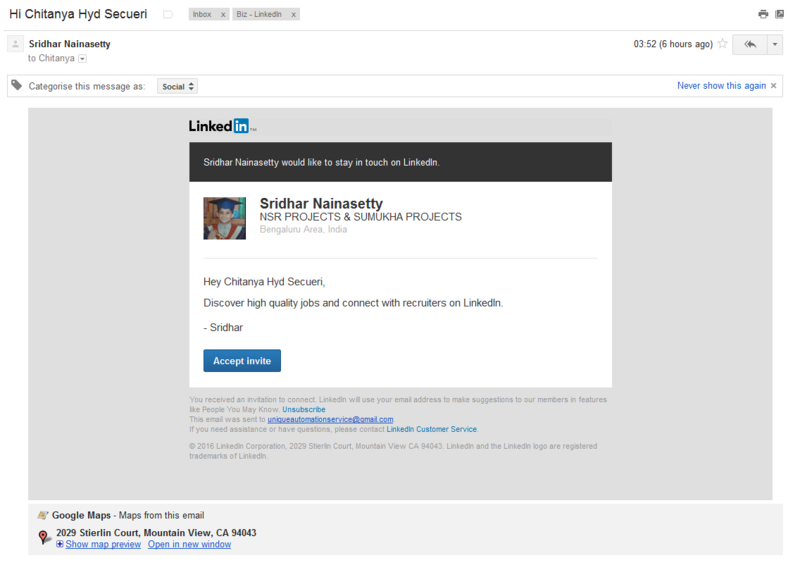 They say that they are from Linkedin (nice job on the format copying) but they come from a GMail account (that has the same name as our company!). Looking at my Linkedin account this message does not exist. Just hit the Delete button. Never try an unsubscribe, it just confirms your email address. To my knowledge we have no contacts in India, but we do have a few people that say the work for us down there (that Linkedin will not remove).